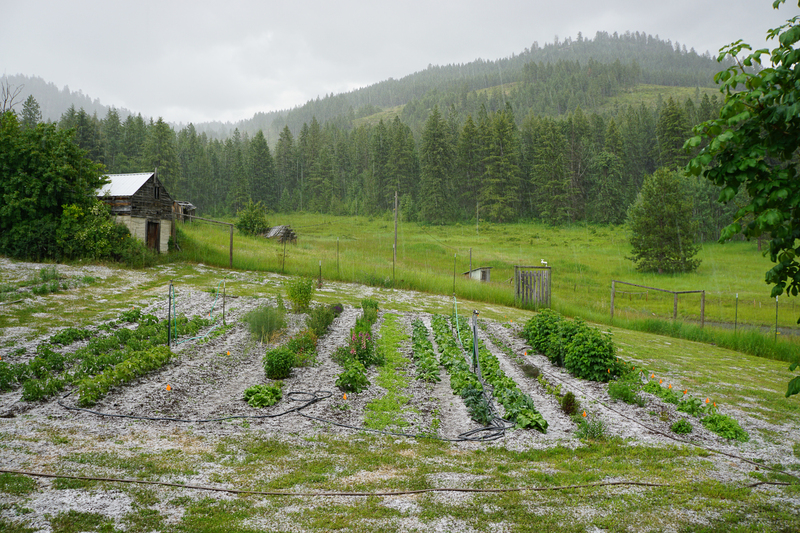 This year has been weird, weather wise–it was in the 80’s in early April, we planted our garden around May 10 (even though the locals say there can be frost until June 1)–thought we had made it home free–no frost–and a temperature of 102 on June 5. But yesterday there was a light frost–only killed one zucchini leaf–but very clearly frost. Then today, the picture above, a thunderstorm with something not quite hail, not quite snow–more like slush balls falling from the sky, covering the ground. That does make it quite hard to garden!